The sketch looks like this and the theme is Sommerzeit (Summer Time). 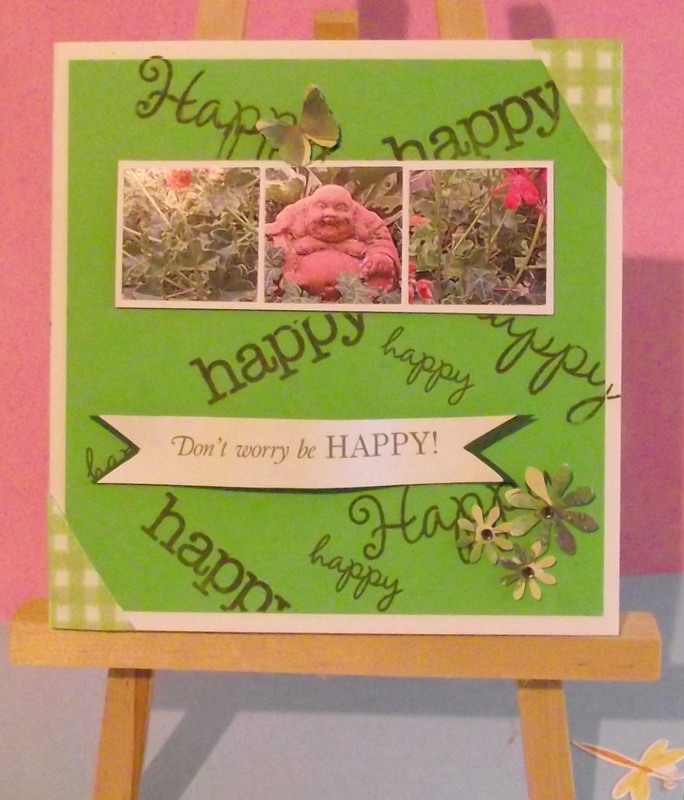 The card was inspired by a photo taken by my husband of the smiling Buddah we have sitting in a terracotta tub enjoying life and grinning at the world. The green and red of the geraniums and the dark colours of the hostas seem to push this little Buddha out from his surroundings. 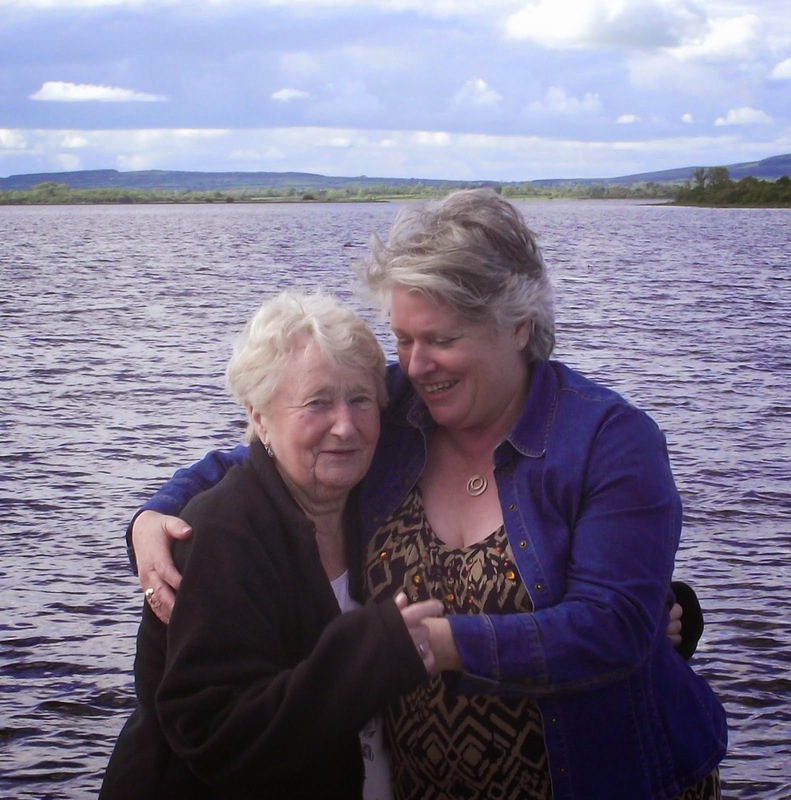 Cropped into three 5x5cm squares, the photo was matted onto white cardstock. 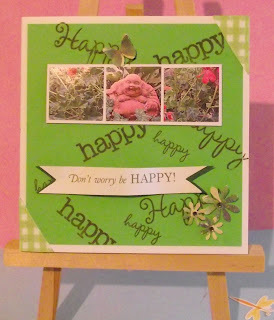 The green panel was stamped with several versions of the word 'happy' using stamps from a selection of the packs from the Stamps of Life. The sentiment banner was created using my PC and the Butterfly and Flowers are punched out from 30x30 page from a Folia paperpack with Efco punches. So as the card says 'Don't worry be HAPPY' and don't forget to leave your comment.